Harness the power of magical beings to rescue Princess Helen. 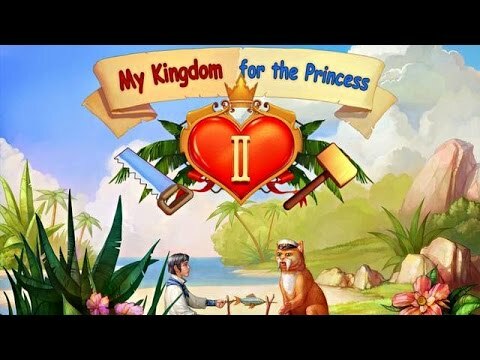 "Liked My Kingdom for the Princess II as much as the first. I go to these games like water so I'm always on the lookout for new resource management games. I found this series after playing many others. Fun, occupying and cute with a reasonable collection of resources. Tough timer though, so keep your eyes on that." The adventures of Arthur and Princess Helen continue in this long awaited sequel. Adversity strikes and once again it's up to Arthur to clear the land, defend against invaders, and work with magical beings like flying cats and witches as he chases after Longbeard the Dwarf, who has kidnapped Princess Helen.